After 18 years of negotiations Russia has been approved for membership in the World Trade Organisation. Talks on joining the international trade body have dragged on for 18 years. Members of the organisation have finally agreed to its accession. 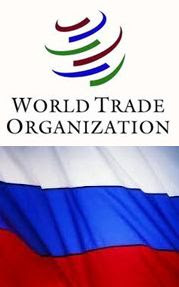 Russia's bid for entry had been held up by WTO member Georgia since the two countries fought a war in 2008. Russia hopes to boost exports of minerals, but a large number of domestic industries, such as car makers, will face new competition. Russia is the largest economy in the world that was not a part of the WTO. It is also expected food imports will soar and prices will fall as tariffs are reduced.A member of the Russian delegation to the WTO, Anatoly Chubais, says his country is increasingly opening itself up to the world.